Our remarkable landscape of sculpted mountains, lakes and channels was created by massive glaciers. SEATTLE IS SURROUNDED by long bodies of water. 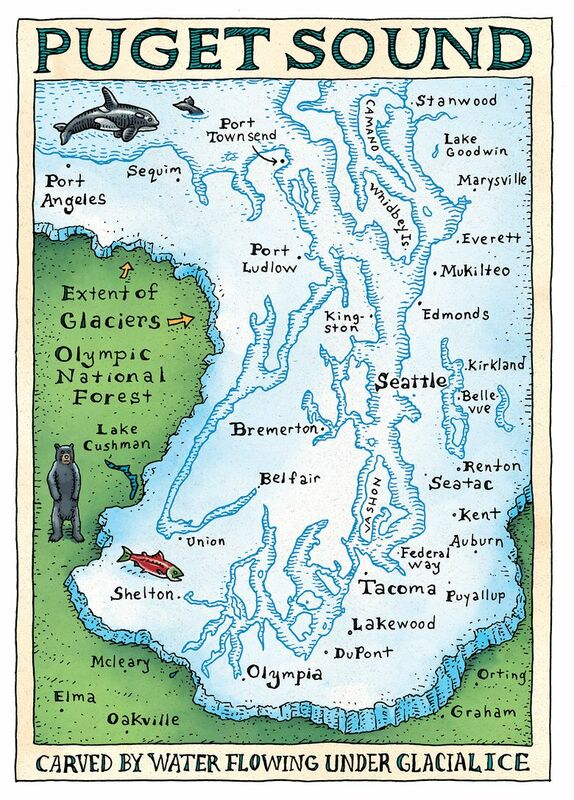 Some are filled with saltwater, like the many channels of Puget Sound, and others are freshwater lakes, like Sammamish and Washington. It occurred to me only recently to wonder why such a landscape could exist. The answer to that question is complicated, and it has to do with a surprising history. The mountains of Seattle are remarkable. To the west is the jagged range of the Olympics, a foreboding massif often clad in thick clouds. To the east are the Cascades, pimpled with volcanoes: Mount Baker to the north and the impossibly large Mount Rainier to the south. Rising essentially from sea level to 14,410 feet, Rainier is festooned with 25 glaciers. It is an active volcano that erupted several times in the 1800s and most recently in 1894. The menace of this mountain monster was invigorated when its lesser cousin, Mount St. Helens, exploded in 1980. 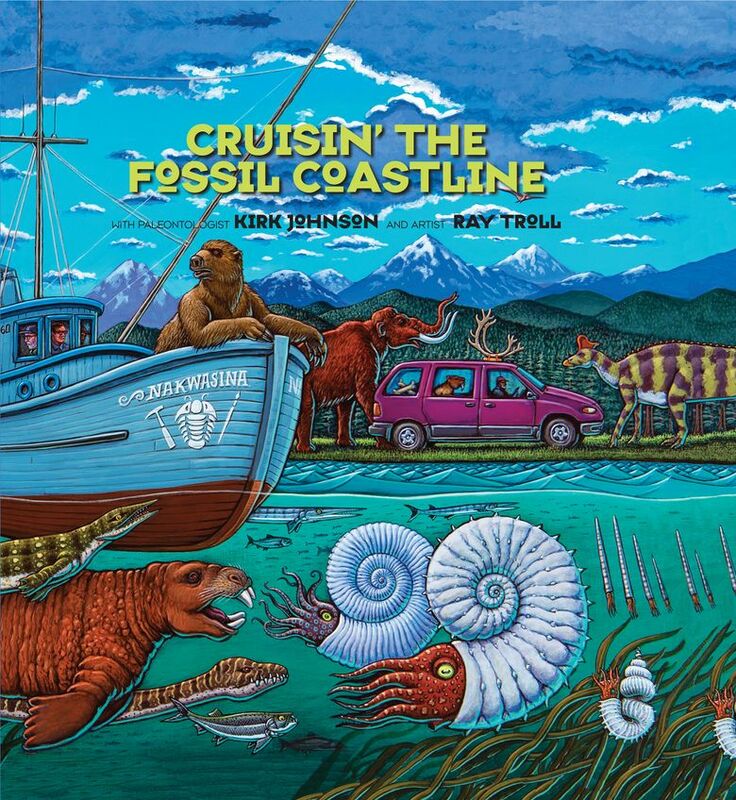 This is an excerpt from the book “Cruisin’ the Fossil Coastline” (Fulcrum Publishing), written by paleontologist Kirk Johnson and illustrated by artist Ray Troll. In 1896, the discovery of gold in the Yukon funneled thousands of would-be miners through Seattle as they headed north to Skagway, Alaska. This event did for Seattle what the 1849 California Gold Rush did for San Francisco, changing it from a town to a city. In 1909, Seattle celebrated its growth by hosting the Alaska-Yukon-Pacific Exposition at a site on Lake Washington that would later become the University of Washington. Shortly after, geologist Harlen Bretz got busy answering the question of why Puget Sound is configured the way it is. Bretz, who had arrived in Seattle as a 25-year-old high-school teacher in 1907, had become interested in Puget Sound geology. With the same intensity that he would later apply in the 1920s to the Channeled Scablands of Eastern Washington, Bretz walked the shores, valleys and mountains surrounding Puget Sound lowlands in search of clues. Bretz was well aware that big ice sheets had been involved, and his careful work showed just how big and extensive those ice sheets had been. By mapping the margins of the glacial deposits, he could tell how high up the mountains they rode, and by 1913, he could demonstrate that Seattle itself had relatively recently been underneath 3,000 feet of ice (something others had speculated to be the case before). The steep and rounded hills of Seattle and the linear lakes and saltwater channels were all sculpted artifacts of the massive ice. This discovery, confirmed in the 1950s after the discovery of carbon dating, meant that the ancient forests of Puget Sound were less than 10,000 years old. 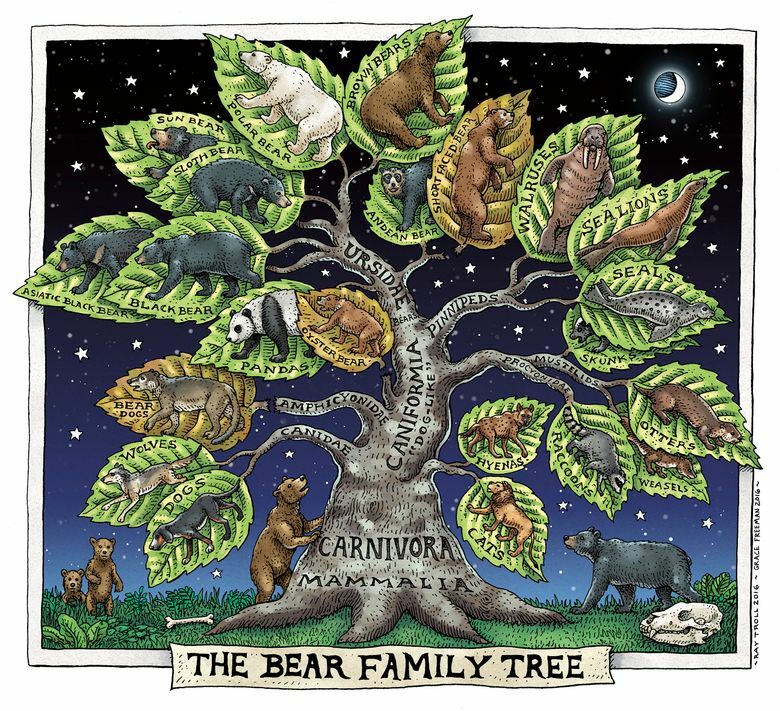 Many of the trees lived for more than 1,000 years, so in a relative sense, these forests had not had a long history. And unfortunately for them, they were easy money, so logging surged. Between 1905 and 1938, Washington state was the leading timber producer in the nation. In 1947, common use of the chain saw changed the game even more, and the old-growth forests came under intense pressure. By the mid-1960s, most of the old-growth forest in Puget Sound lowlands was completely gone. MY FAMILY MOVED to Seattle in 1961, when I was just 9 months old. At the time, it was the rainy, little-visited corner of the nation. In 1962, Seattle opened the World’s Fair with the completion of the Space Age spire known as the Space Needle. There are pictures of me watching this construction, and I was fully aware when the magnitude-6.7 earthquake shook our home and tumbled our chimney on April 29, 1965. Seven years later, my dad made me climb Mount Rainier with him, and that brutal ascent remains the hardest thing that I have ever done. 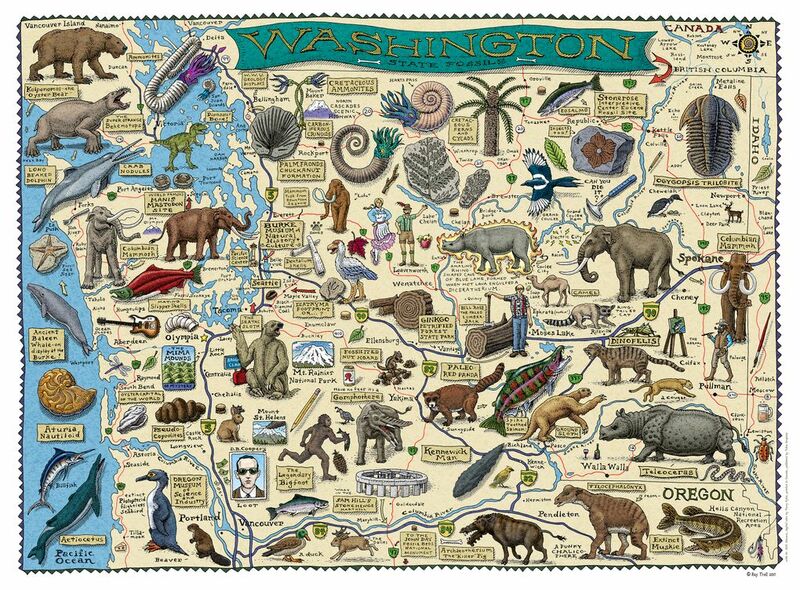 By the time I was 13, I had been exposed to the fact that the Seattle area was a place of geologic extremes, but I had not connected the dots and realized that we lived in one of the most geologically active places in the world. That realization would not fully seat itself in my mind until Ray Troll and I started working on this book in 2009, and I began thinking about how few Seattleites had realized that they live at Ground Zero on a dynamic planet. Around the time I was 10, my dad bought me a boat. We lived in Beaux Arts Village, a curious little town on the shores of Lake Washington. Founded in 1908, Beaux Arts styled itself as an artist colony just a short steamboat ride from Seattle. By 1970, that art dream was distant, and the colony had been engulfed by the surging growth of Bellevue. But Beaux Arts still had a beach, and I had my boat. My boat was 12 feet long, green, wood and heavy as a log. It was everything I could do to flip it over and slide it into the lake. My parents were remarkably lax with their supervision, and I was given leave to row about whenever and wherever I wanted. There were sockeye salmon that would enter Lake Washington from Puget Sound through the fish ladder at the government locks in Ballard, and then make their way down the lake to the Cedar River, where they would spawn. We learned that trolling deep and slow, using just the oars, was the right way to get one of those magnificent fish to strike a lure. The first thing I ever cooked was a freshly caught sockeye over an open fire on that beach. RAY KNEW A GEOLOGIST named David Montgomery, who studied soil and played in a band called Big Dirt. 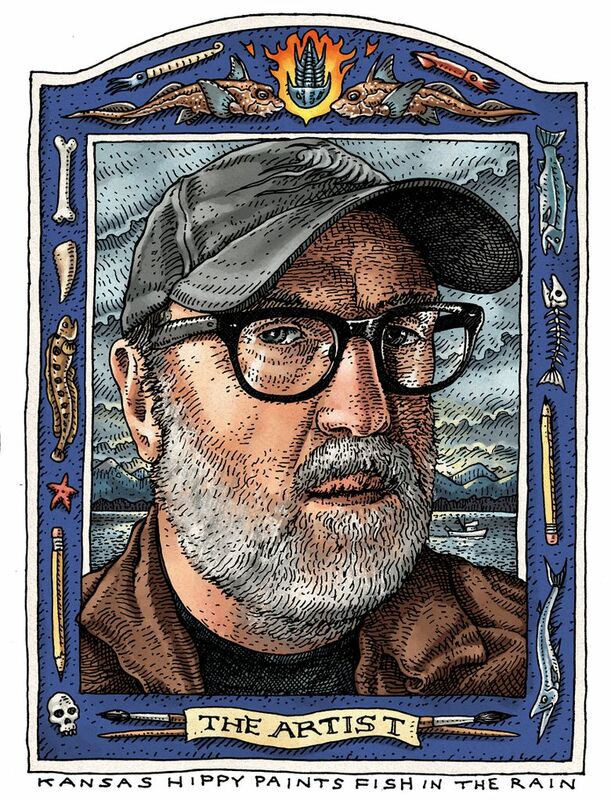 David is a great writer, and in 2004, he had written a sweet book, “King of Fish: The Thousand-Year Run of Salmon,” with illustrations by Ray. You wouldn’t think that there would be much connection between salmon and dirt, but there is. Salmon are anadromous, which means they spend their adult lives in the open ocean but spawn in the headwaters of freshwater rivers and streams. In the Northwest, we call these rivers “salmon streams.” Most salmon die after they spawn, and they become food for bears, bobcats, wolves, eagles and many other animals. And we all know what a bear does in the woods. Salmon bodies are rich in nutrients, and the animals that eat salmon spread those nutrients across the forest floor, where they get worked into the soil and eventually become the stuff of trees. 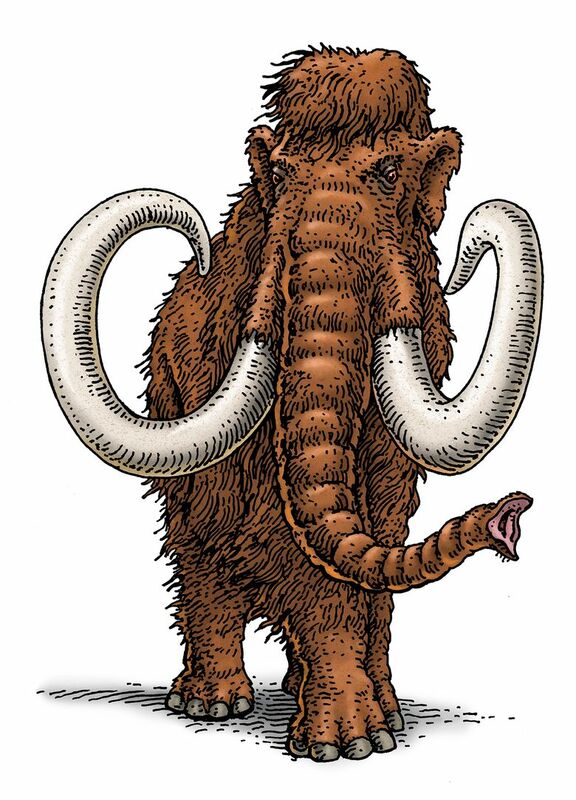 David works at the Quaternary Research Center at the University of Washington, which is a fancy way of saying he studies the geology of the Ice Age. He had found a really odd fossil site at the south end of the Puget Sound, and we talked him into taking us there. On June 27, 2009, we met him in Olympia and drove around the south end of the Sound. Because most of the land around Puget Sound was logged between 1860 and 1960, most of the modern forest is second- or third-growth timber, and a lot of land is owned by timber companies who are sitting around waiting for their next crop of trees to grow back. For this reason, the foothills of the Olympics and Cascades are cut with a maze of dirt logging roads that wind their way through brushy young forests. David led us through a locked forest company gate and down an old, overgrown logging road through a tangle of small alder trees and blackberry brambles. Eventually, we popped out onto the bank of a beautiful little salmon stream. It was the kind of place that made me wish I had a fly rod with me. It was a crystal-clear creek with a gravelly bottom, but as soon as I got to the river’s edge, my geologist’s eyes spotted something very unusual. The bank of the river was composed of clay that had a very distinctive type of layer known as a varve. Varves form at the bottom of lakes that form at the end of a glacier. Right away, I realized that I was in a river valley that used to be a glacial lake. 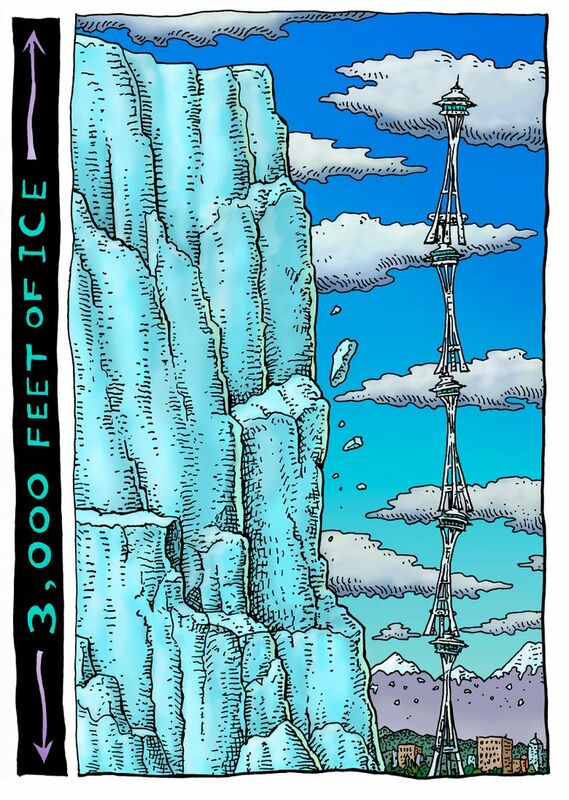 This all makes sense if you think about Harlen Bretz’s ice sheet filling Puget Sound. At a time like that, the rivers (and indeed glaciers) flowing down valleys from the mountains collided with the massive ice sheet that filled Puget Sound. These collisions would block the mouths of the river valleys and cause them to fill up with water and become lakes. David confirmed that we were looking at a million-year-old glacial lake. Then he told me to go ahead and split open some of the clay. Using my Swiss Army knife, I started splitting the soft clay and immediately started seeing fins, scales and finally a tail. After a few minutes, I had exposed a beautiful fossil salmon. And this wasn’t just a salmon. It was a sockeye salmon, just like the ones I used to catch in Lake Washington. 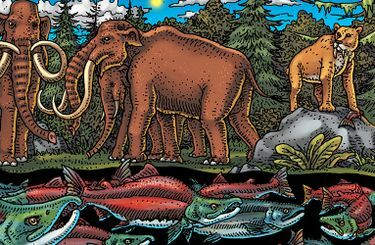 Here was a million-year-old glacial lake full of spawned-out sockeye salmon that would have had to make their way from the open ocean through an ice-plugged Puget Sound and up an ice-choked river past mammoths and saber-toothed cats before spawning, dying and getting buried. 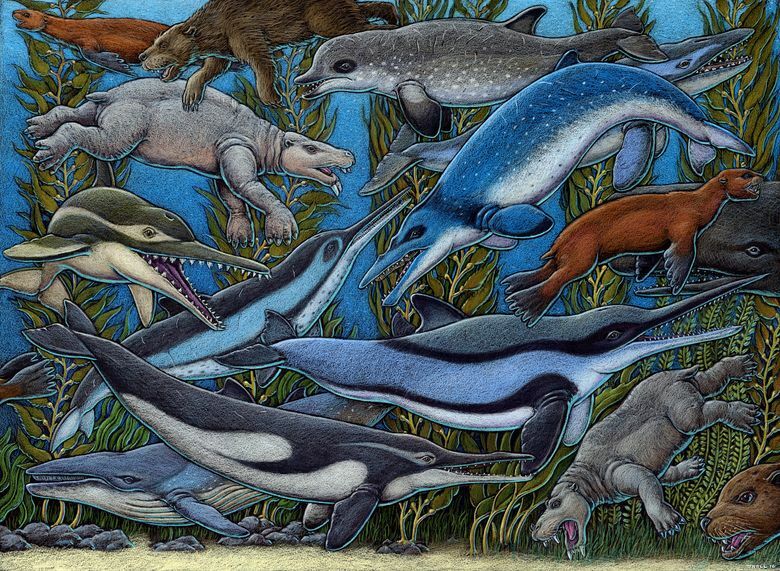 For the first time in my life, I had a visceral understanding that I had grown up in a postglacial landscape. DAVID DROVE US back out to the highway, and we parted ways. Ray and I headed north along the shores of Hood Canal, a long, narrow body of saltwater that stretches 50 miles from Puget Sound to the southwest before doubling back on itself to form a giant fishhook. The “canal” is a little more than a mile wide and almost 200 feet deep. With my new Puget Sound-glacial perspective, I pondered the process that could have formed this curiously shaped canal. I came up blank. I asked Ray what he thought, and he gave me the simple answer that you see on Wikipedia: The glaciers caused it. I knew that. What I wanted to know was what the glaciers did that caused all of those long channels that are the signature topography of the Puget Sound lowlands. Now that I had a simple question I could not answer, I became obsessed with it. Over the next few weeks, I did what scientists do to answer questions. I searched the published scientific literature about the geology of the basin and I called some experts, and this is what I learned: The Puget Sound Basin existed as a lowland before the glaciers arrived from Canada. The rivers would have flowed into the basin and generally to the north. When the south-moving glacier advanced into the basin, it dammed these rivers, creating a giant lake. As the glaciers continued south and filled the basin, meltwater from the glacier would have flowed to the south over the divide by Olympia and into the Chehalis River, where it could flow into the ocean near Aberdeen. It appears that meltwater at the bottom of the glacier carved river channels under the ice. When the glacier retreated, it exposed these channels and flooded them with fresh water, forming a huge lake at the south end of the glacier — one that would have stretched all the way from Olympia to Everett. Once the glacier retreated beyond the Juan de Fuca Strait, the freshwater lake emptied into the ocean, the saltwater surged in and Puget Sound was formed. To make things even more complicated, it appears that this entire process happened more than once. It’s no wonder that people just say that the glaciers did it. IN RECENT YEARS, there has been a strong push to restore marine ecosystems in Puget Sound, and this has led to the realization that Puget Sound is part of a larger series of inland coastal waterways that includes the region between Vancouver Island and the British Columbia mainland. In 1988, a marine biologist named Bert Webber proposed the name “Salish Sea” for the area, and that name has stuck. In 2015, ichthyologists Ted Pietsch and James Orr did a survey of all known fish species in the Salish Sea and documented a total of 253. Ray had known Ted for more than 30 years, and together they dreamed of illustrating the entire fish fauna of the Salish Sea. With Ray, dreams often end up as paintings, and in 2011, he completed a Salish Sea masterpiece, a mural showing 99 species of Salish Sea fish. 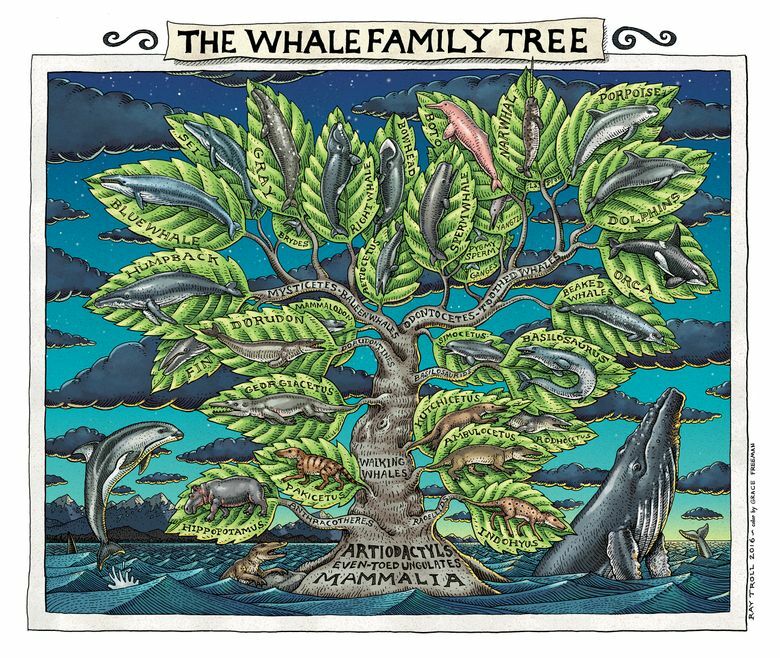 The finished painting hangs on the wall of the University of Washington Fisheries Sciences building on Portage Bay. The number of known fish species continues to grow because fish scientists continue to explore the Salish Sea, but this is not the whole story. The thing that has changed is that the relative abundance of different species has dramatically shifted, and the absolute numbers of the five different salmon species have dropped dramatically. The salmon have been replaced by spotted ratfish (Hydrolagus colliei), and some estimates suggest that perhaps as much as 75 percent of the fish biomass in the Puget Sound is this one species. 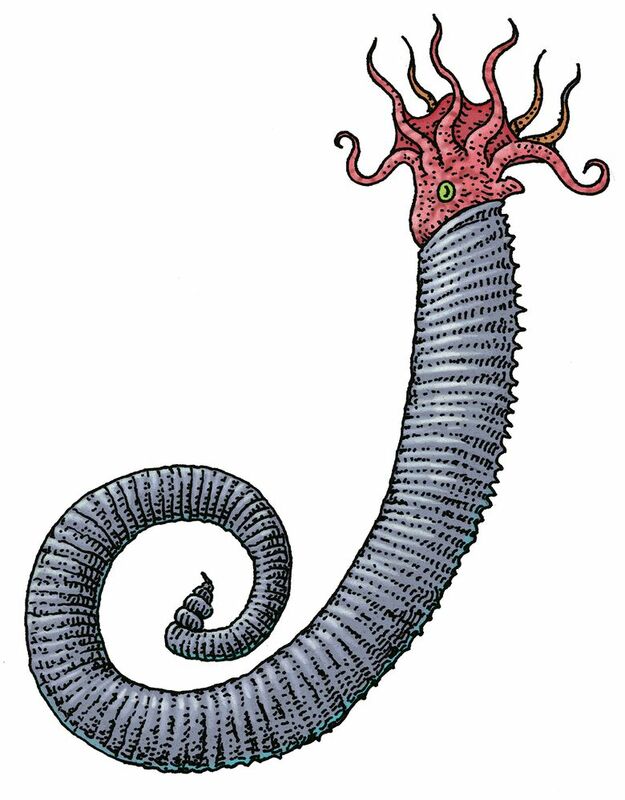 It is for this reason that Ray and I call the Salish Sea by a different name: the Ratfish Empire. 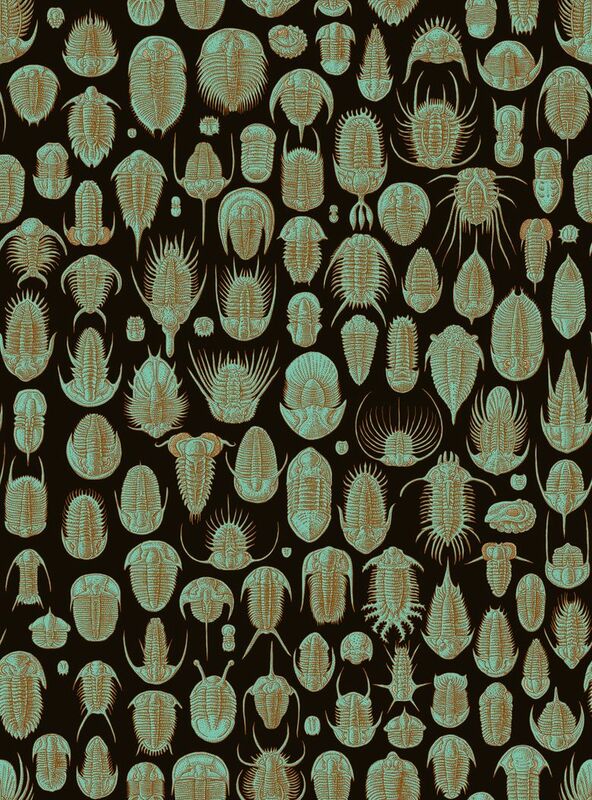 In actual fact, since the range of the spotted ratfish stretches from Alaska to Baja, and the ratfish lineage reaches back to the Paleozoic, this entire book takes place under the jurisdiction of ratfish. Kirk Johnson is a paleontologist and director of the Smithsonian’s National Museum of Natural History in Washington, D.C. 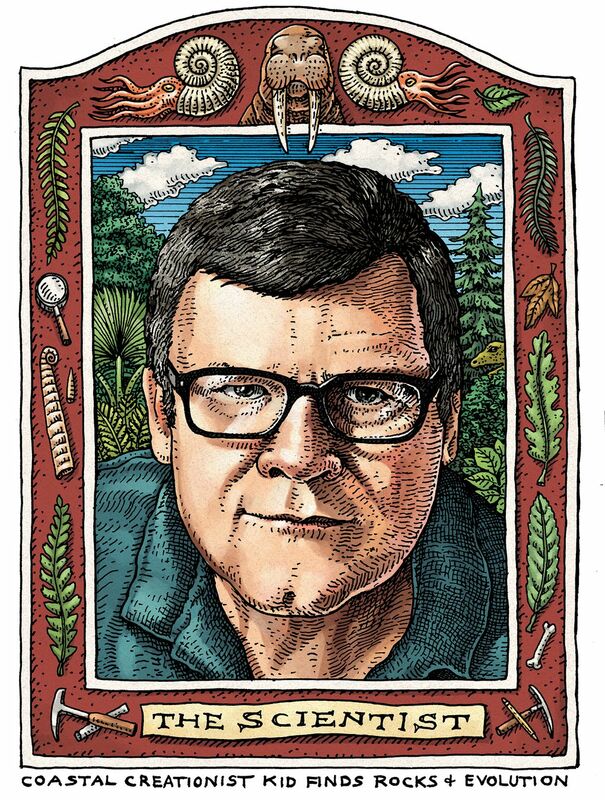 He hosted two recent PBS series, “Making North America” and “The Great Yellowstone Thaw.” He has written 10 books, including “Cruisin’ the Fossil Freeway” in 2007, with Ray Troll. 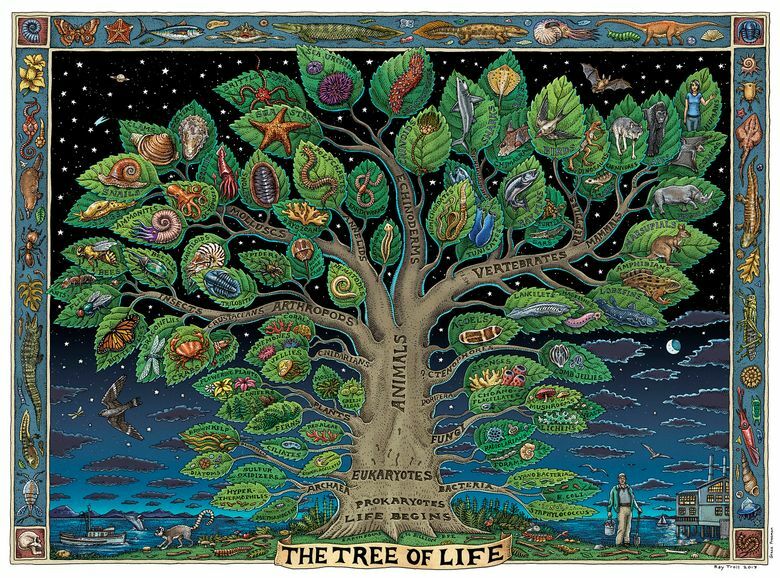 Troll, a science-inspired artist, has illustrated 10 books. His art has appeared on more than 2 million T-shirts. He and his wife, Michelle, own and operate the Soho Coho Gallery in Ketchikan, Alaska. Ray plays in a rock band, The Ratfish Wranglers, who have recorded four albums. Check out his website at trollart.com. Johnson and Troll spent the past 10 years exploring the Pacific Coast from Baja, California, to Alaska. The result is this book. The Anchorage Museum is currently touring an exhibit based on the book. Plans are being made to bring it to the Burke Museum in the fall of 2020.